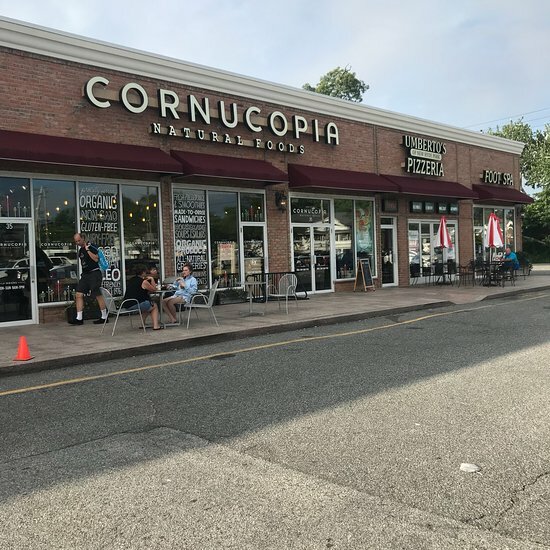 There aren't enough food, service, value or atmosphere ratings for Cornucopia Natural Foods, New York yet. Be one of the first to write a review! I went to college with the original owner. The staff are the friendliest and most knowledgeable about the products. Don't forget to visit the organic food bar in the back of the store. Delicious! This place is a treat and tonight I treated myself & left feeling good doing so. I opted for the vegetable soup. It was packed with a nice variety. Only thing missing was some crusty artisan bread. Great food, and I love the Kale salad. My go to place for lunch. Great natural food and natural items. If you can't find it here, they will order it for you. Great selection of organic and natural products. I shop here often for produce, meat and just about anything I need that is healthy and organic. The deli in the back serves delicious home made salads and soups and you can guarantee it is all organic. This establishment is wonderful for vegetarians and people that want to eat healthy. They have fresh soup daily and a wonderful healthy choices. Get quick answers from Cornucopia Natural Foods staff and past visitors.